After you’ve finally closed on your new property, finished your inspections, and paid your down payment, you’re finally ready to move into your dream home. Congratulations! This is a time of celebration indeed, and one that is best spent with your best friends and family members by your side. Throwing a housewarming party is a great way to enjoy the fruits of your labor and to celebrate the fact that the house is finally yours. 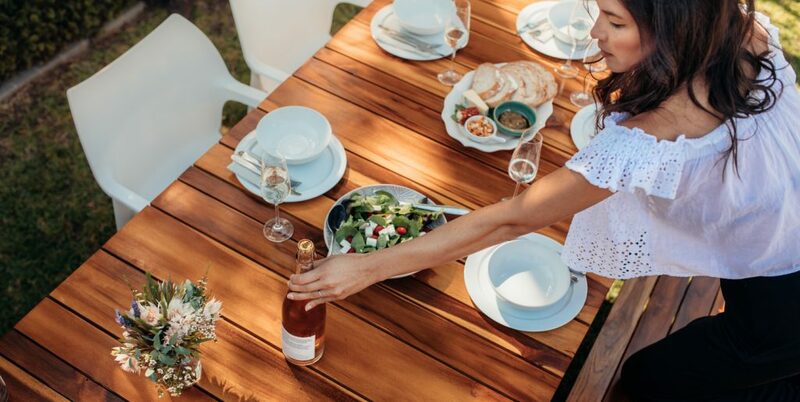 Here are a few tips on how to throw a fun housewarming party at your new home, courtesy of Century 21 Peak. For more real estate services in Los Angeles don’t hesitate to utilize the Peak Corporate Network. Once all your guests have arrived, it’s time to give the grand tour! There’s no need to be shy about showing off your new home. Your friends, family, and new neighbors would be thrilled to have an intimate look at your home, especially when you point out some of your favorite features, such as your favorite storage location, walk-in closet, or backyard swimming pool. Want to show off your stunning new kitchen? You can set your food out on your island or on the counters while your guests enjoy the features of the new home. The more festive you make your home, the more invited your guests will feel. Plus, it will put everyone in a celebratory mood. Not only can decorations express your personal sense of style and fashion, but they will also be fun for everyone to look at. You can start out with simple ideas like balloons, colorful flowers, and tablecloths while you start to put together your color scheme. Want to pay homage to the natural colors and designs of the house? Use the same paint swatches to create a garland or a banner across the kitchen! Your guests will love your sense of creativity and style. Want more ideas for planning the best housewarming party on the block? Do you have more questions involving the home buying and selling process? Contact Century 21 Peak online or give us a call at (955) 732-5500 today!